A few weeks ago we managed to pick up 10 metres of industrial grade shade cloth. It’s the stuff they use in shopping centre car parks, so it’s pretty tough. 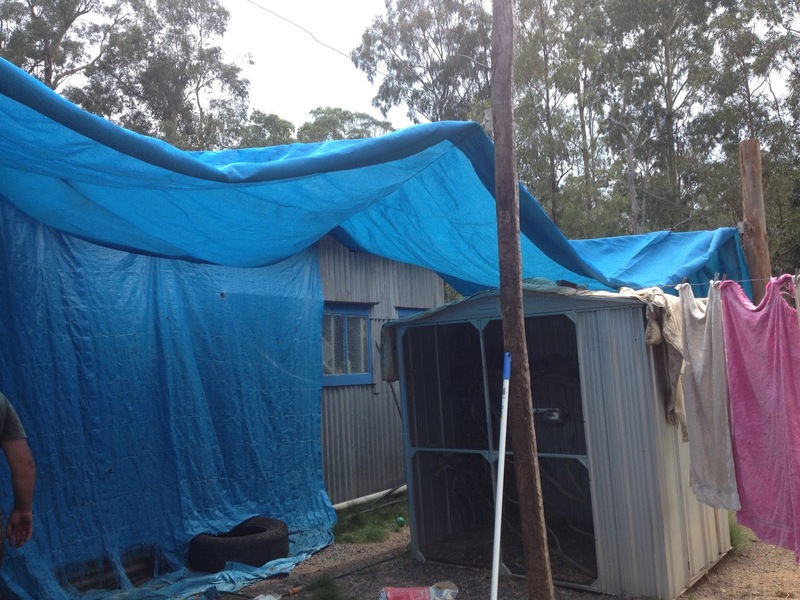 The plan was to put it up as a shade sail on the northern side of the humpy to shade and hopefully cool the interior and to provide shade for all the animals that live in the yard. This weekend we got to the job. First my hen pecked partner zoomed off into the bush and cut some poles from a tree which blew down in a storm recently. 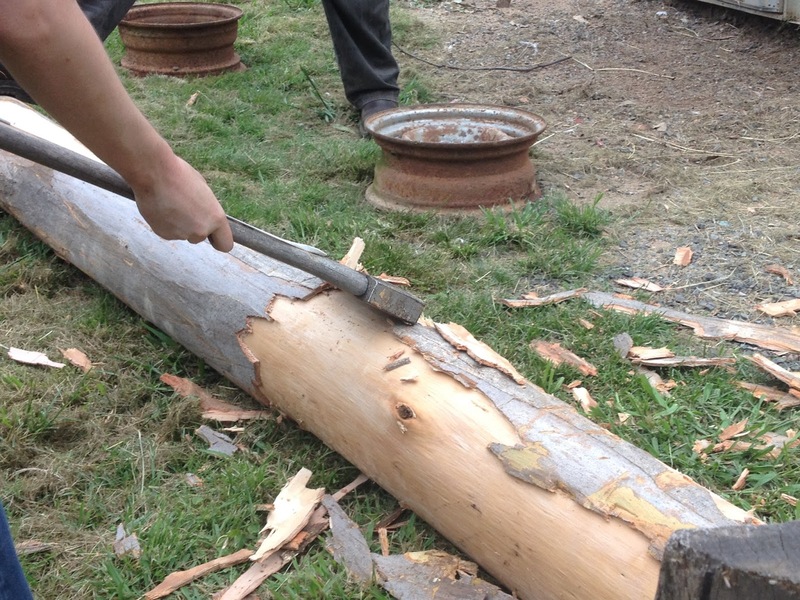 We then debarked the bottoms of the poles so that they would not get loose in their cemented holes (due to the bark drying out and falling off). 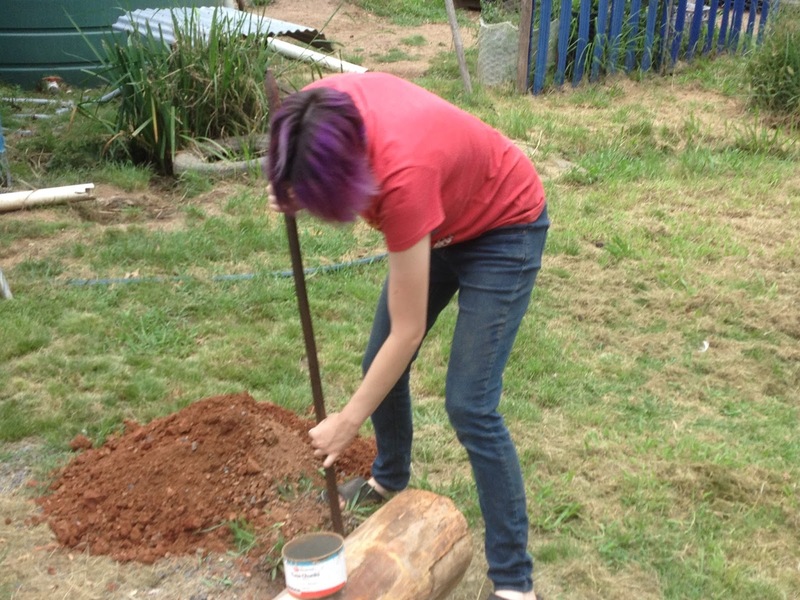 While this was happening I was dutifully digging 60 cm deep holes in the assigned places. I hate digging, but as it was for a good cause I persevered. 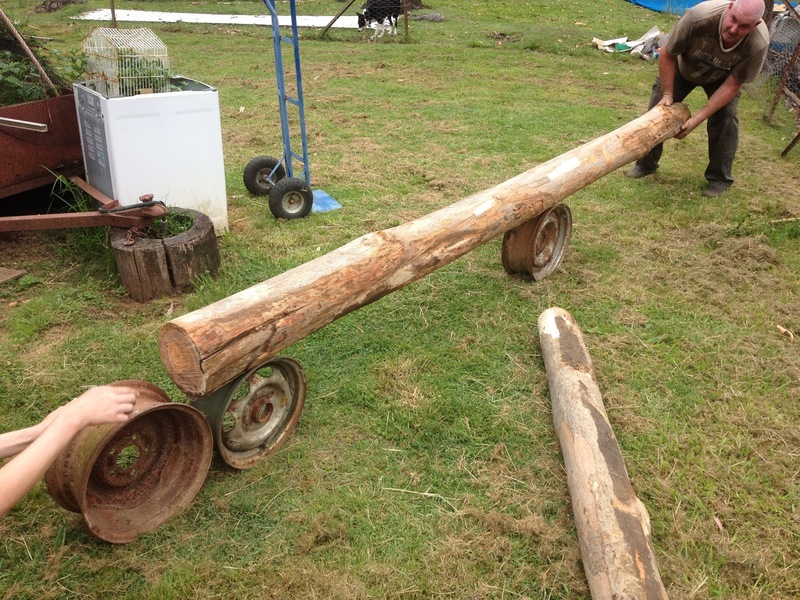 Moving the poles into their assigned holes was an awkward job, but with the help of some old tire rims we managed it. 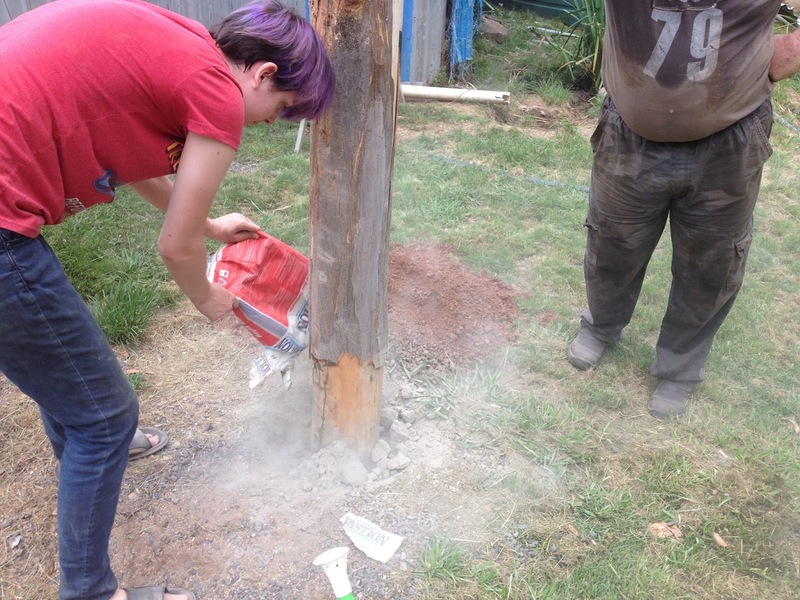 The posts were cemented in with quick set cement to hold them firmly. 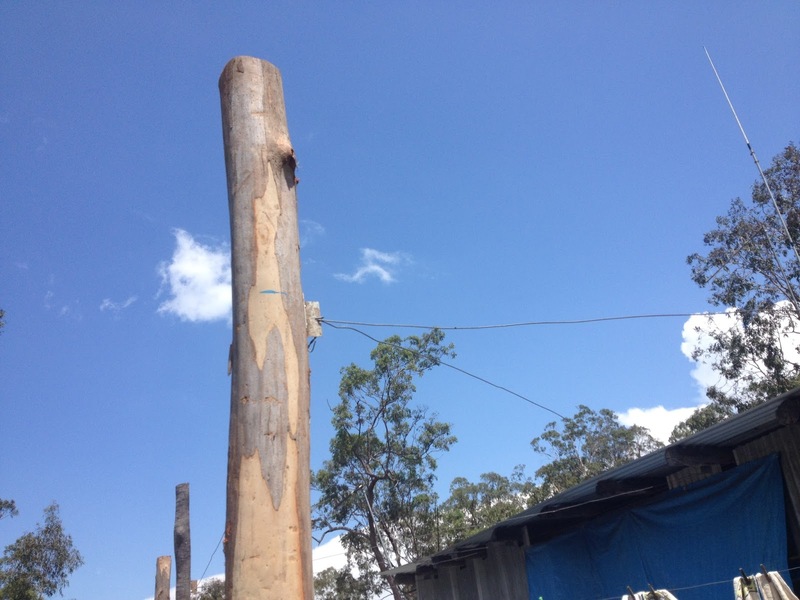 We then tied wire from the posts to the roof in a sort of zigzag pattern to hold the shade cloth up. 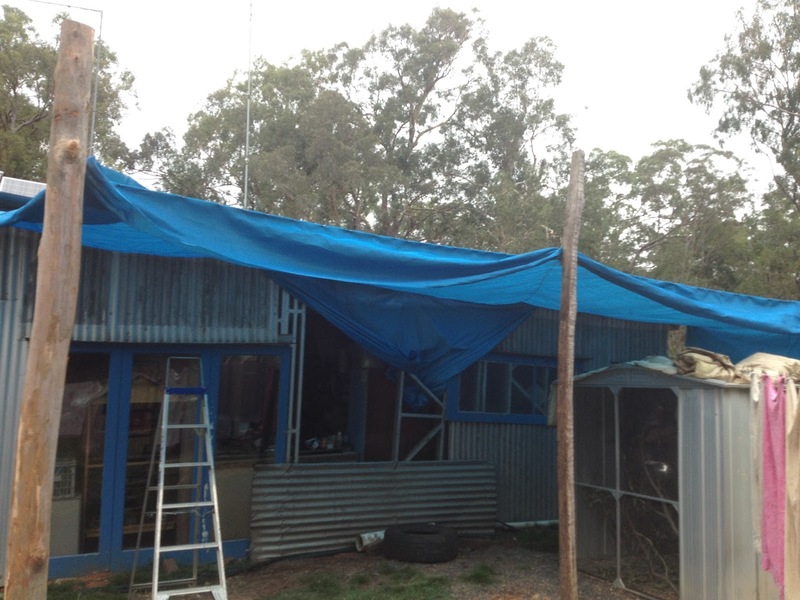 Almost done, just clipping the shade cloth to the wire. 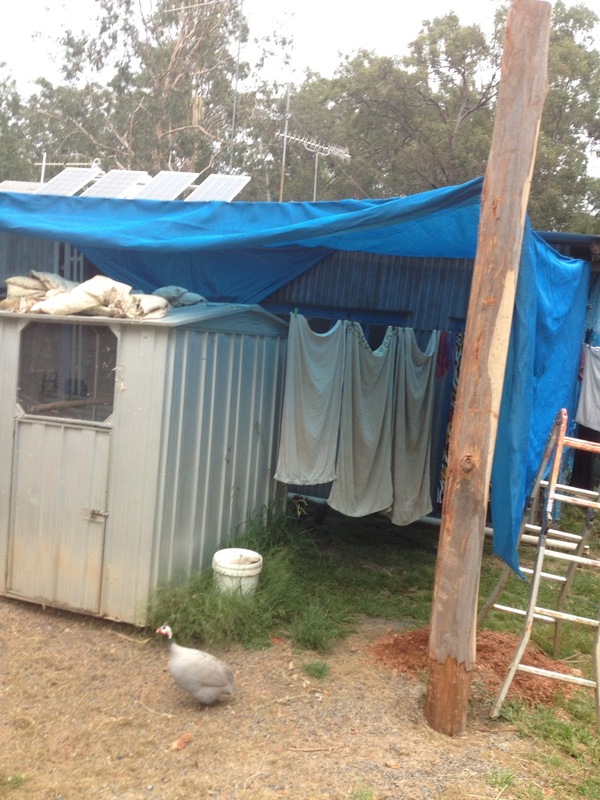 Now the galah aviary is fully shaded and I can remove the old feather quilts from the roof ( they have provided insulation for two summers now). One more job down, I plan to put some benches under there so I can sit in the shade with a coffee sometimes.